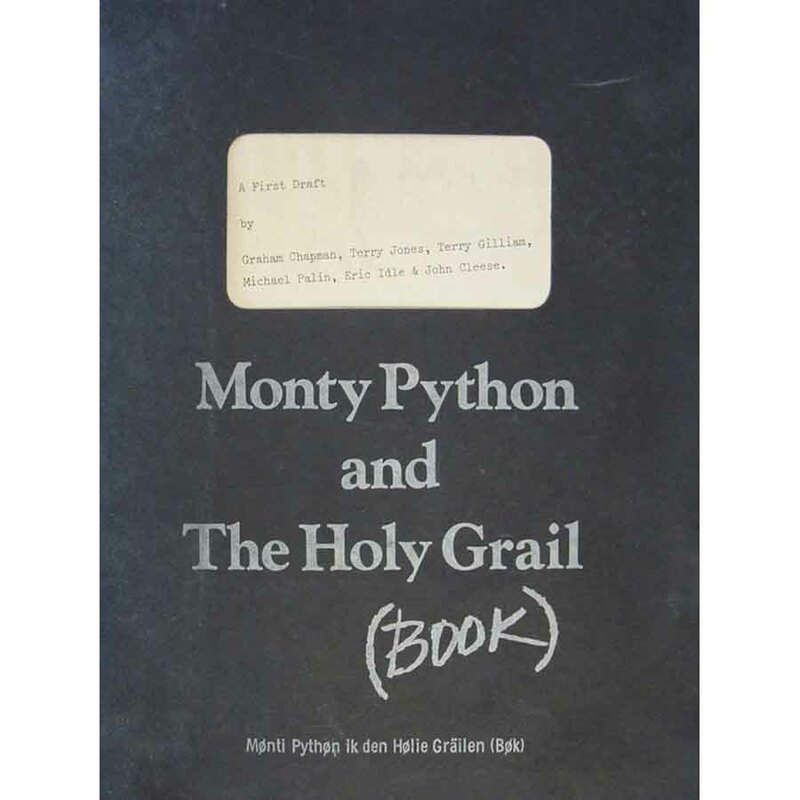 "Monty Python and the Holy Grail (Book): Mønti Pythøn Ik Den Hølie Gräilen (Bøk)"
The “Monty Python and the Holy Grail” screenplay is reproduced along with numerous production stills and storyboards. "It's amazing," John Cleese says in "The Python's Autobiography," "if you look at the first draft of 'Grail' how little of that appears in the movie, it's about 10 percent of the first draft. 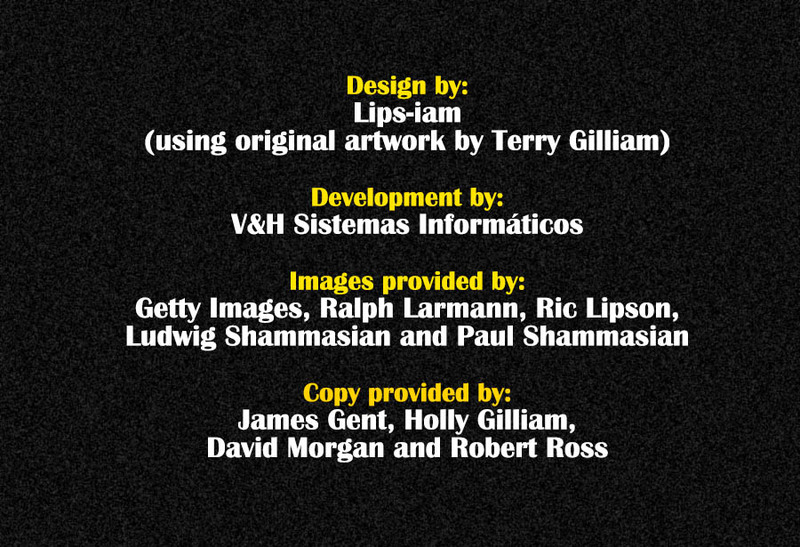 But I remember Mike and Terry reading out the coconuts thing which gave us a key to a certain approach of how to do it." The desire among the group to do a movie was strong, and the disappointments of "And Now for Something Completely Different" meant they wanted to avoid another sketch film. In the TV series, with "The Cycling Tour," they had already played with a single sketch running the length of an entire show, so a single narrative had already been explored. But it was in fits and starts that the film's over-arching narrative (which allowed for a bunch of sketches tied together) became a medieval parody featuring King Arthur and the Knights of the Round Table. The initial draft of "Holy Grail" actually spanned centuries, with scenes set in a modern-day Harrods, where the Grail is found. "I was more keen on keeping the narrative in the Arthurian world than making jokes about Harrods," said history degree-bearer Michael Palin. "I was interested in creating his world and making the convention, the background setting, so convincing that you don’t have to defuse it, you don’t have to apologize for it, you don’t want to leave it." When it was decided (though the passionate campaigning of Terry Jones) to keep the film in the Middle Ages, that opened the gates to material that was both modern in temperament (Constitutional Peasants, Castle Anthrax) and true to the heroic tradition of Arthur and his knights. The finished script is fresh, inventive, unashamedly violent (the menacing Black Knight has all his limbs severed but refuses to give up the fight) and pointedly anarchic (even God put in an appearance, as an eye-rolling cartoon figure). The published shooting script includes cuts and unfilmed scenes, such as Sir Alf (Arthur: "I didn't know we had a Sir Alf.") and King Brian the Wild, who seeks close harmony groups that he can have executed.